The CURIS® microsurgical radiofrequency generator made by Sutter MedizinTechnik in Germany relies on the 4 MHz technology: It is gentle to the tissue and effective for coagulation, for lesions and for cutting. The patient trauma is reduced to a minimum. 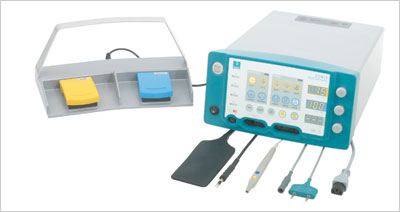 • MicroSurgical RadioFrequency Generator for ENT and in plastic/Esthetic Surgery. p3™ is active in all coagulation modes of the CURIS®. 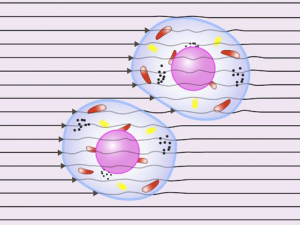 Radiofrequency energy is delivered in small packages of about 50 per second. 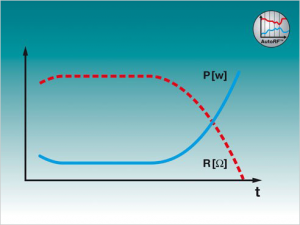 Due to the pulsed power output, there are very short breaks between the individual packages. The tissue has the time to absorb and distribute the energy and will generally be less traumatised. Highly-focussed, yet gentle coagulation with minimal thermal damage is possible. The p3™ process is, of course, AutoRF™ controlled.